Replacement: None. 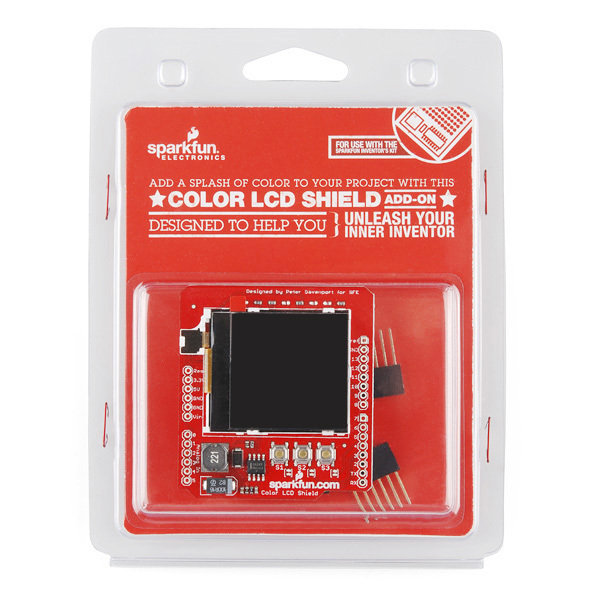 We are no longer carrying this LCD shield in our catalog. This page is for reference only. 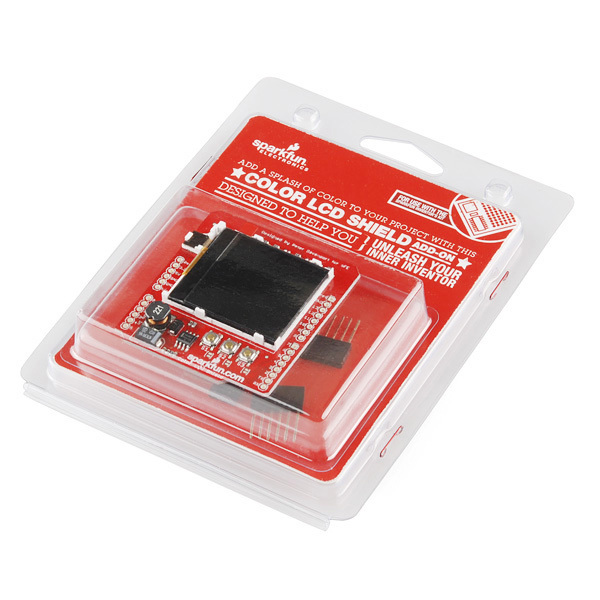 The Color LCD Shield, recommended by and designed in partnership with an SFE customer, provides an easy method of connecting the popular Nokia 6100 LCD to your Arduino USB or Pro. 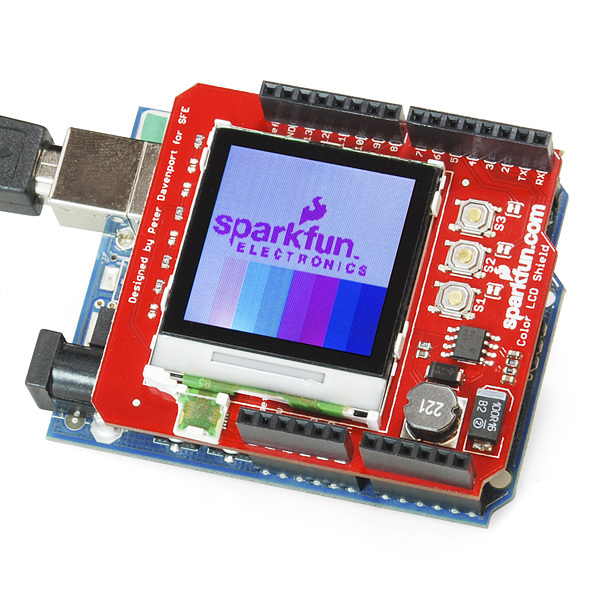 The board comes as shown with the 128x128 mini color LCD, as well as a backlight driver circuit (boosts to 7V), and three momentary push-buttons (tied through a jumper to pins D3-5). The Nokia 6100 LCD is included with the Color LCD Shield. Headers are not soldered on, but are included. can I use external light source for back light? means is back side of LCD is open? it already has a backlight with the usual reflective surface backing. 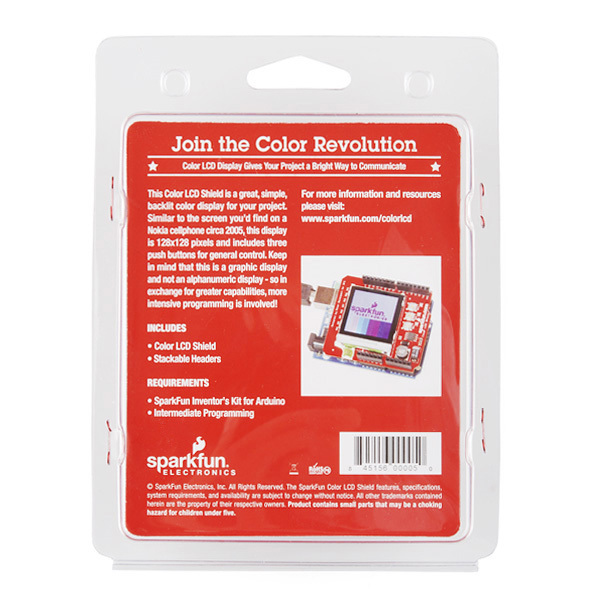 I'd imagine these little panels are as easy to open up as any other, though, at which point you should be able to remove the existing backlight solution, light panel, etc.